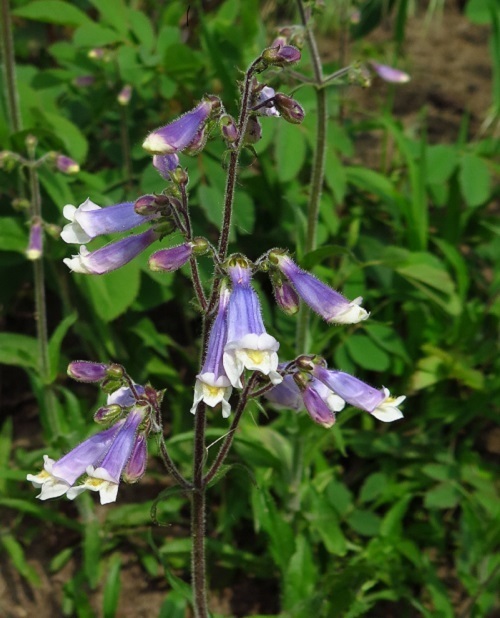 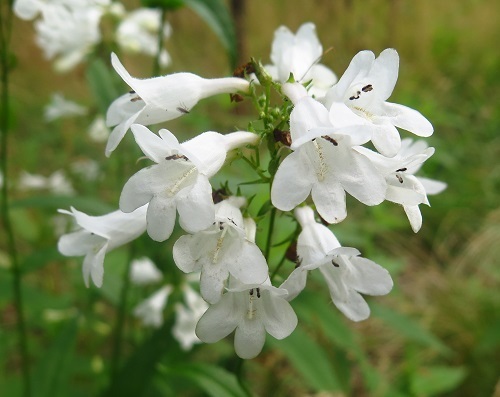 ​​The name "beardtongue" refers to dense yellow hairs on the 5th stamen which protrude between the lips of the flower. 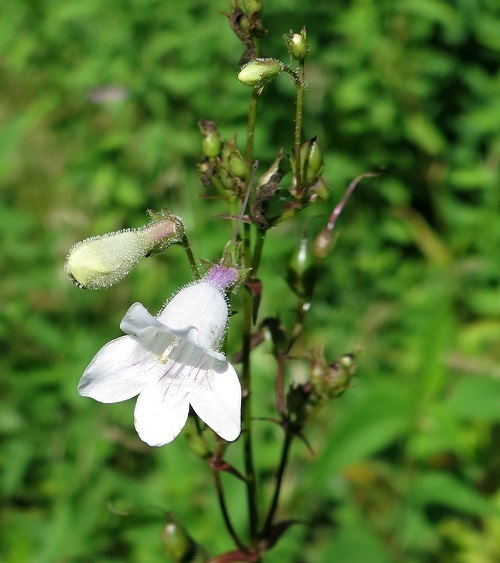 Habitat: Fields, meadowmarshes and open woodlands. 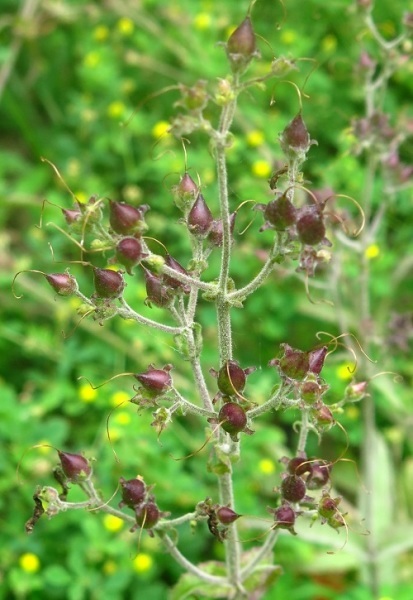 The species name "​hirsutus" ​means hairy, referring to the fuzzy stem.